When it comes to library classification and arranging books by genres or “genrefication,” they’re hot topics among librarians, especially school librarians. Ask any librarian how they feel about ditching Dewey and they’re sure to have an opinion. For me, genrefication is the single best thing that I’ve done for my school library program. So much so, that I’ve spent this summer genrefying my second school library (at least the fiction section) in anticipation of starting a new position there this fall. Many librarians are reluctant to genrefy their libraries because of the amount of time and effort required to restructure the library’s classification system. I choose to look at this instead as an opportunity to weed our collection and get to know the collection on a whole new level. After genrefying two libraries, I’ve learned from some initial mistakes, made some small changes to my approach, and can share with you a solid plan of attack. Before you dive into the process, it’s important to take some time to assess your collection and the needs of your students. One of the biggest benefits to genrefication is that you are able to tailor your genre categories to meet the needs of your school. Sections that work in an elementary library can be quite different than what is selected for a middle or high school category. Think about the types of books that your students ask for most often. My students were constantly asking me to help them find sports books and mysteries, so I knew these would be two very popular genre sections. In my current library, there are nine genre sections for fiction. Once your genre categories have been selected, it’s time to start labeling the books. My method was to select a color for each genre category and use Color-Tinted Label Protectors to tag each book to the appropriate genre. All of my mystery books were tagged with red labels over the spine label, yellow for Science Fiction/Fantasy, blue for Sports and so on. This color-coding system is great for your visual students. It also keeps you from having to reprint all of the spine labels, as the color clearly and easily signifies the genre of a particular book. If your library has not been heavily weeded lately, take this as an opportunity to do so. 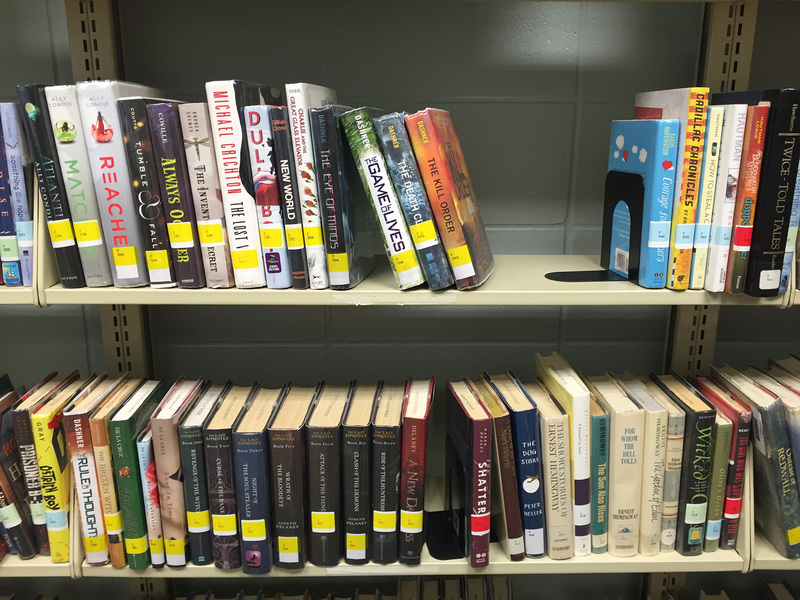 Books that are not being checked out are taking up valuable real estate in your library and may be keeping students from finding the books they want to read. You’re taking the time to lay your hands on each and every book; make the most of that process and decide if that book should still be part of your collection. For many books, the genre is obvious based on the cover and title. The subject headings on the copyright page (or in your library catalog) are a great tool for determining a book’s genre. Some books may fit easily in several different genre locations. In this case, think about what type of reader would be most likely to pick up and enjoy that particular book instead of focusing on the technicalities of a genre. This is where things might feel a little overwhelming (and chaotic). There’s no simple and systematic way to rearrange an entire collection of books. 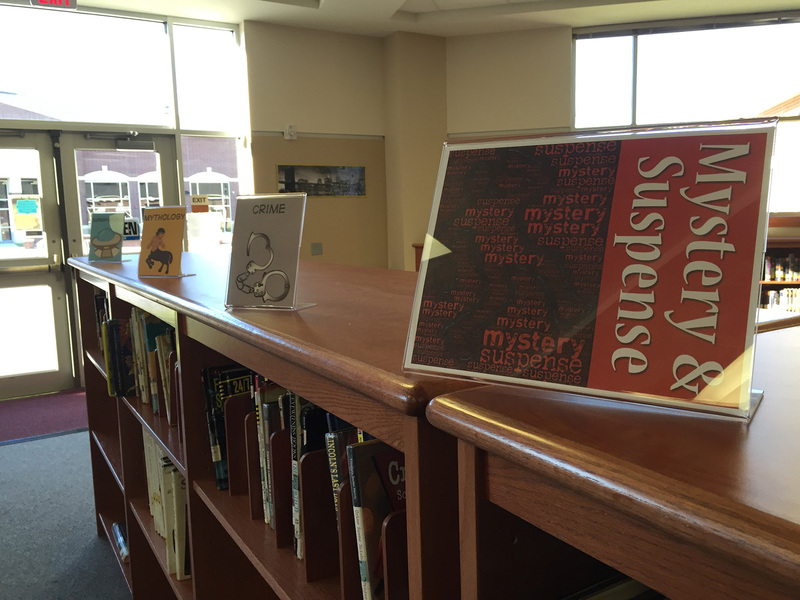 Determine where each of the new genre sections will be shelved. My preferred method is to start with one genre (easy to locate with the new colored labels), start at the beginning of the alphabet, and pull out that entire genre category to move to its new location. This will require some shifting, squeezing and temporary storage as you clear out areas to make room for books in their new locations. Just keep moving and don’t think about it too much. Before long, sections will start coming together and you’ll begin to see the magic of how the new organization of books will be viewed by your students. 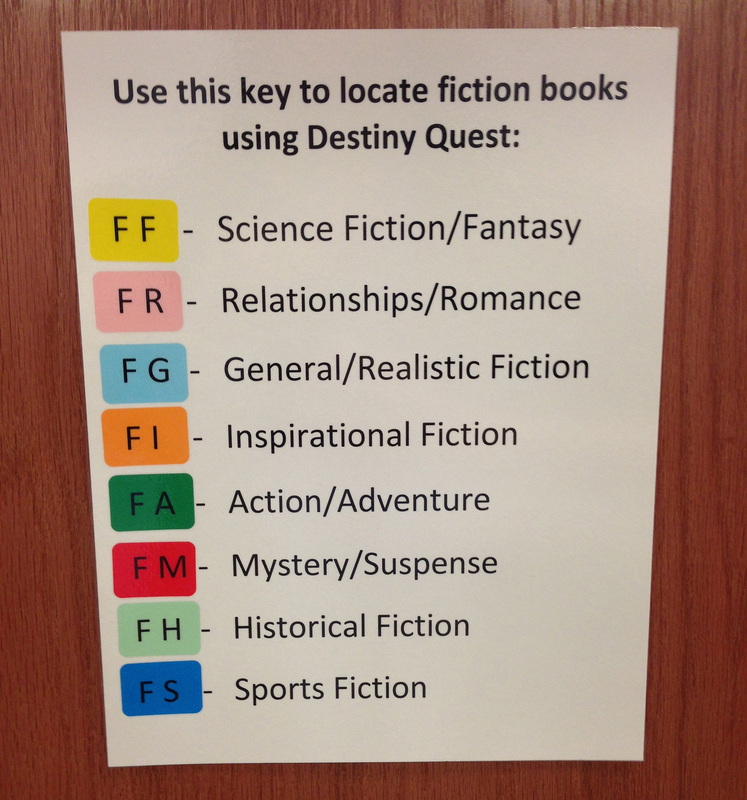 Posting proper signage to help students easily locate books is another key step in the genrefication process. 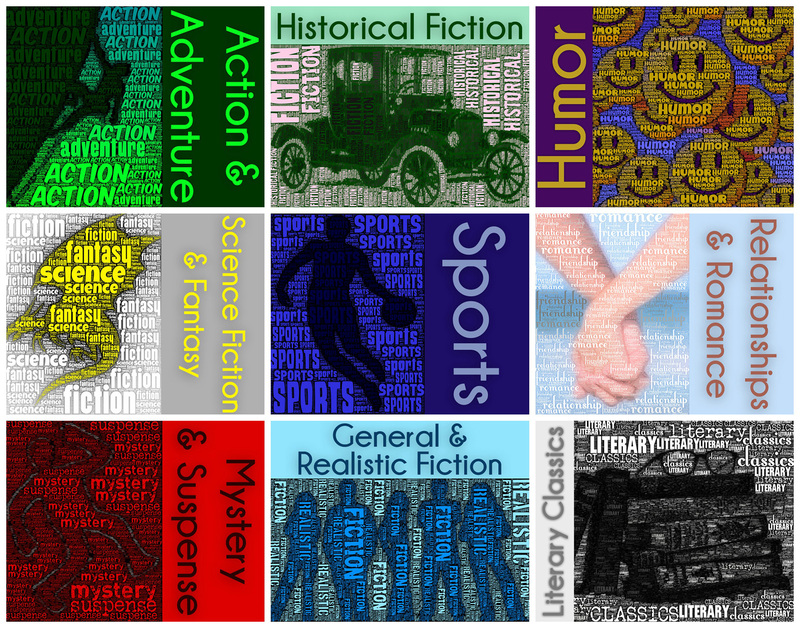 I created bold signs to go along with each genre category designed in a corresponding color. If you eventually transition to genrefy both fiction and nonfiction, using different styles and sizes for signs can help students differentiate between the two types. This allows you more freedom in arranging related fiction and nonfiction sections adjacent to each other. 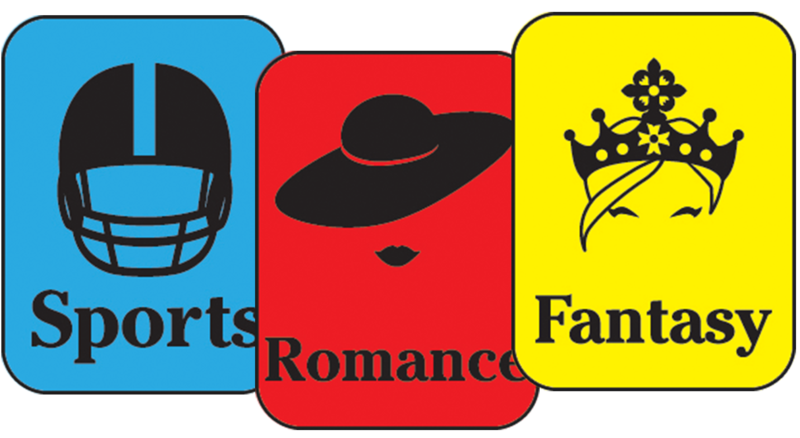 For example, being able to shelve sports fiction and nonfiction books near each other just makes sense to students interested in sports. While the idea of genrefying a library can be daunting, it is an endeavor well worth the time and effort. In my previous school library, the reorganization led to an increase in library usage and improved circulation numbers. 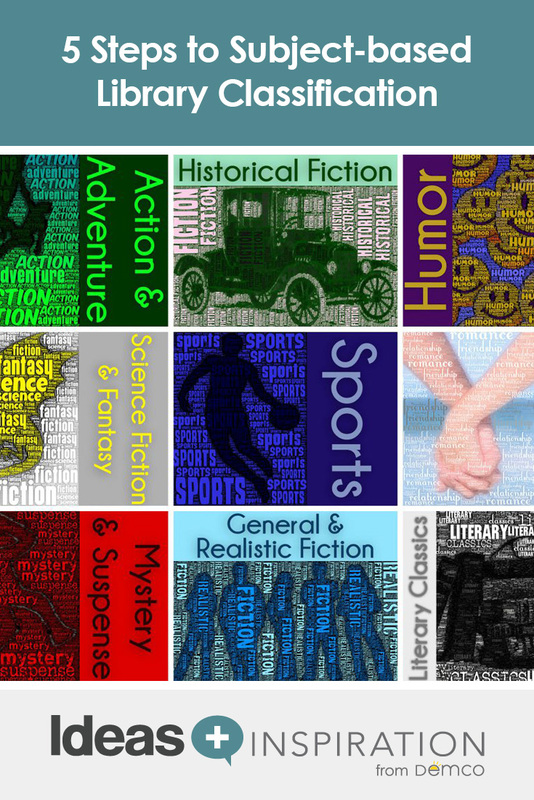 I am looking forward to introducing students and faculty at my new school to their newly genrefied fiction collection, as I’m sure it will make the collection more browsable and the space more user friendly. Make it easy for students to explore new genres and find books that pique their interest with classification labels. Tiffany Whitehead describes herself as the Mighty Little Librarian and is an obsessive reader, social media user and technology geek. She is the Upper & Middle School Librarian at Episcopal High School in Baton Rouge, LA. Tiffany earned her undergraduate degree in Elementary Education and School Library Certification from Southeastern Louisiana University. She holds a graduate degree in Educational Technology Leadership from Northwestern State University. She has served as the President for ISTE's Librarians Network and was recognized as one of ISTE's 2014 Emerging Leaders. Tiffany is National Board Certified in Library Media and was named one of the Library Journal's Movers & Shakers. She was the 2016 recipient of the Louisiana Library Media Specialist Award. Follow Tiffany on Twitter @librarian_tiff, read her blog and view her portfolio. How does Follett Destiny deal with the Call number changes? I know that it easily recognizes “F” and “FIC” for the fiction titles, but am curious to know if it works with the “FA”, “FH”, etc. prefixes. Did you use an app or website to create your posters? (If you did, can you share it?) If you purchased the posters (or are selling them) I would also be interested in that information.